We’ve all been there; you get all keyed up as a result of some half-awake, impossible-to-ignore inspiration to go out and make photographs for the entire day and, even before you have wiped the sleep from your eyes and headed for the shower, (even though the BBC Weather app has predicted sun and very little cover that day) the clouds roll in, and before you know it, they’ve also unloaded their picnic baskets and laid down their blankets, for a day of it. Bugger. (When you’re intending on shooting for infrared, this is not the best of conditions). Still, you get ready, pack your gear in the car and, head off in salubrious hope that conditions will in fact improve. (They don’t.) Before you know it, you are over 30 miles from home, more than 15 miles along a single-track road, dodging sheep at 15 mph (if you’re lucky) and because you’re still full of that waking, resolute determination to find something, anything to shoot before you head home again, you’re a long way past the point of no return both on the road and, in your head. Then, out of the grey (that should be blue, but you can’t always have everything, can you?) you find yourself approaching scenes like these. Scenes that inspire, no matter what the elements deliver. After I had cussed the clouds, I realised that I had simply decided to get inspired on a less than perfect day for my intentions. But we revolve around the elements; it’s never the other way around. Best to understand that and, get on with it. Or not. I chose the former. It wasn’t such an imperfect day after all. 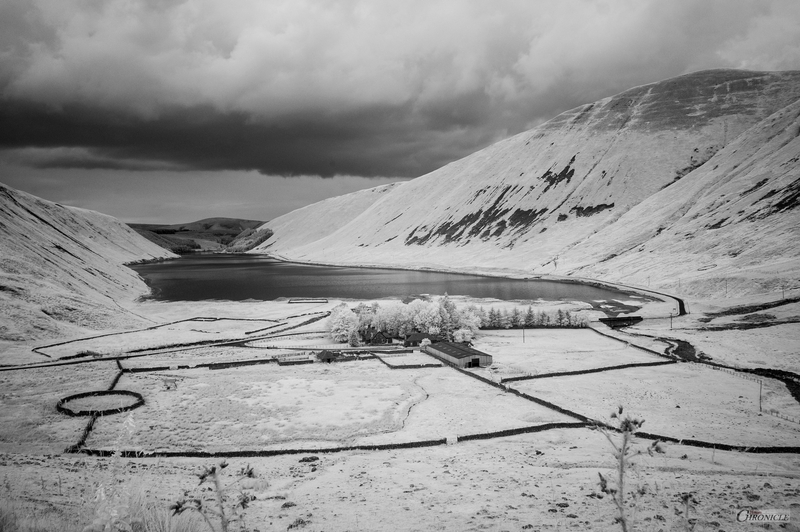 Talla Reservoir & Farm | 28mm 760nm Infrared. 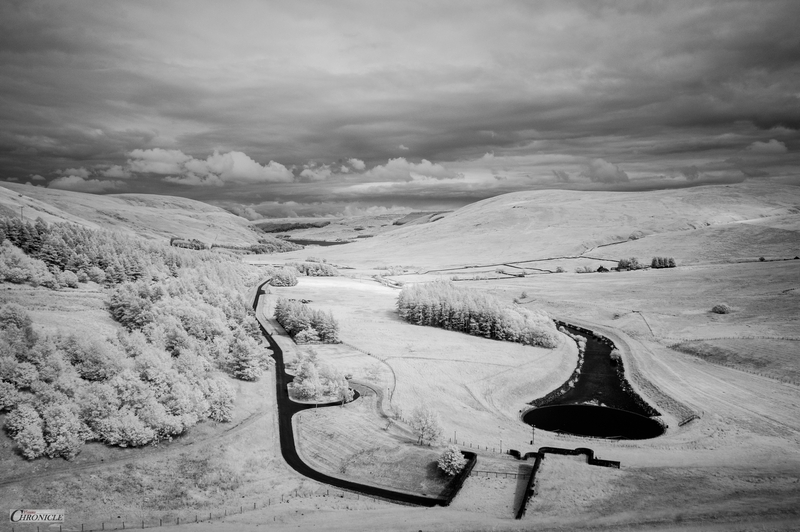 Megget Water (To the East, from the Dam, towards St.Mary’s Loch) | 28mm 760nm Infrared. 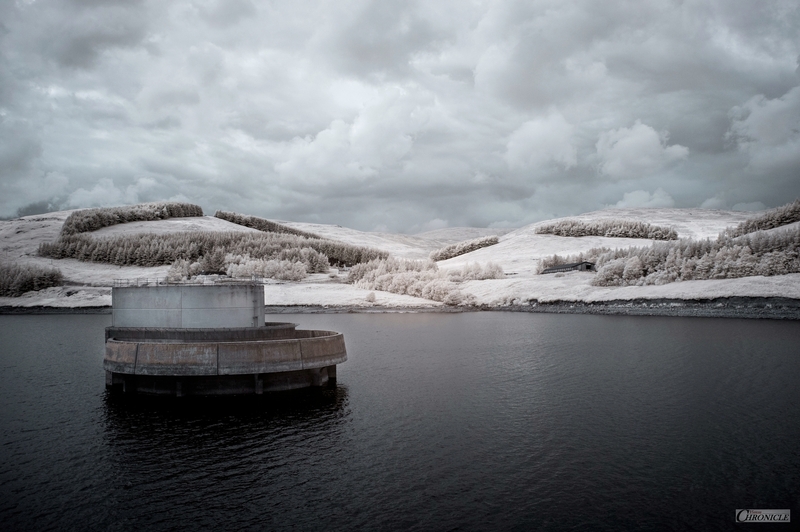 Megget Water | Looking West, from the Dam | 28mm 760nm Faux-Colour Infrared. 07th August 2018: See Take: 2 for the re-shoot under near-perfect weather conditions. All Images & Posts © 35:Chronicle (2018, 2019) except where specified. No Copying or Redistribution of any kind is permitted without prior consent from the author, unless links to original work is clearly provided. 35chronicle@gmx.com Thank you for visiting & if you would like updates, please click Follow. All images are resized for publishing.